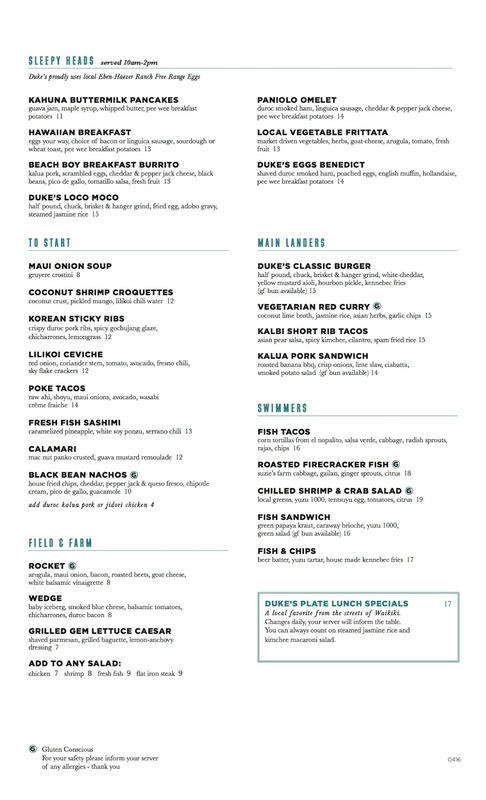 Duke's La Jolla has launched its weekend brunch, taking place each Saturday & Sunday from 10am to 2pm. In addition to one of the best views in San Diego, Duke's will offer a menu featuring classic Hawaiin dishes and mainlander cuisine. 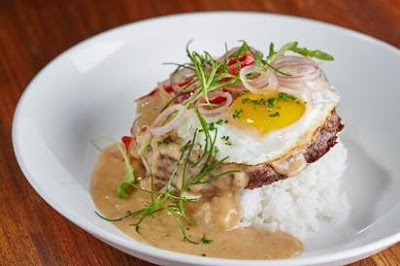 A few of Duke's dishes that brunch-goers have to look forward to include Duke’s Loco Moco featuring a half pound chuck, brisket and hanger patty, fried egg and adobo gravy atop steamed jasmine rice, the Kahuna Buttermilk Pancakes with guava jam, maple syrup, whipped butter and pee wee potatoes, the Kalbi Short Rib Tacos topped with Asian pear salsa, spicy kimchee, cilantro and spam fried rice, and the Roasted Firecracker Fish with Suzie’s Farm cabbage, gailan, ginger sprouts and citrus. 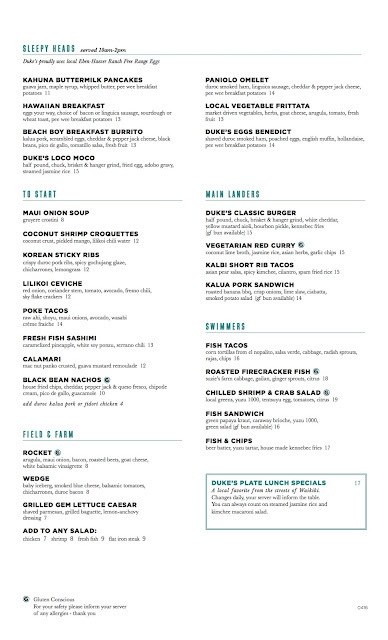 The Duke’s La Jolla menus celebrate the melting pot of cultures and cooking techniques of Hawaii and California. The menu items have been crafted to be playful and approachable, but with a thoughtful respect for traditions and a serious focus on all-natural, seasonal and locally-sourced products. Executive Chef Anthony Sinsay, T S Corporate Chef Scott McGill, and T S Regional Chef Dustin Anselm all collaborated to develop menu items specifically for Duke’s La Jolla. Duke’s La Jolla is located at 1216 Prospect Street in La Jolla. For more information, visit dukeslajolla.com and check out the brunch menu below.